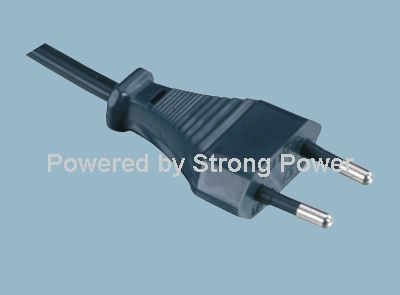 An AC power cord supply, or alternating current power supply, is a useful tool for science projects and lab experiments. 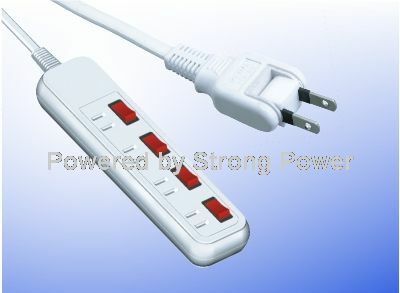 This type of power supply takes 110 to 120 volt outlet power and reduces it to a maximum of 28 to 30 volts. AC power supplies can also be used to power small AC electric motors for fans, cooling systems or robotics. Building this type of power supply does not require many parts. An unregulated AC power supply needs only three primary parts. Locate the primary side of the transformer. Take the corded plug and use the wire stripper to strip 1/2 inch of insulation off of the two wired ends. Connect one wire to one of the transformer's primary terminals and connect the other wire to the second primary terminal. These connections can be soldered or screw type depending on the type and size transformer used. Cut two pieces of electrical wire about 10 inches long and one piece about 5 inches long. Strip 1/2 inch of insulation off the ends of all three pieces. Take the 5-inch wire and connect one end to one of the marked secondary transformer terminals. Connect the other end of that wire to one of the two rheostat terminals. Secure the transformer to a wood block using mounting screws. Mount the rheostat approximately 3 inches from the power transformer. Locate the secondary side of the transformer. This side may have two or more terminals. Check the wiring diagram that came with the transformer to determine which terminals provide an output voltage of 30 volts. Mark those two terminals with a marker. Take one of the 10-inch wires and connect one end of that wire to the other marked transformer secondary terminal. The other end of that wire is one of the AC power cord supply output terminals. Take the remaining wire and connect one end of the wire to the remaining rheostat terminal. The other end of this wire is the second output terminal for the power supply. These two output terminals can be connected to two screws mounted on the wood block for easy connection to other projects.